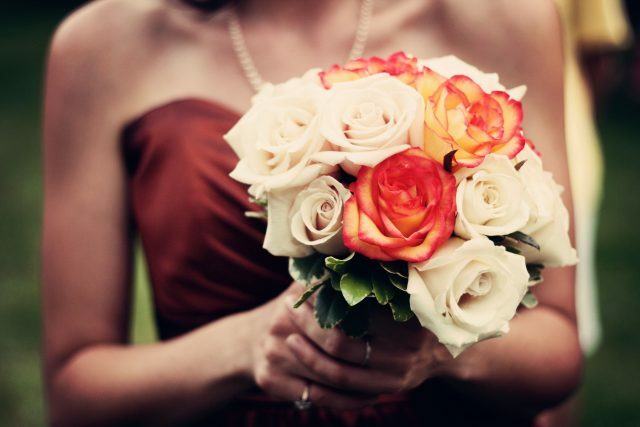 Preparing for your wedding can be really fun and enjoyable, but stressful at the same time. There are just so many things to take care of, from putting together a guest list to booking a venue, hiring a caterer, etc. Still, one of the main highlights of your wedding prep is undoubtedly the search for the perfect wedding gown and other details that will make you look stunning. What’s more, thanks to current trends, you can make your bridal look more colorful and interesting. If you’re not the one for pure white/champagne look, take a look at the following tips. Not only can you choose a vibrant and interesting color for your perfect bridal high heels but you can also go with some unconventional design if that’s something you find attractive. Of course, blue is one of the most popular shades for wedding shoes, not just because of Carrie Bradshaw, but because they also work as your “something blue”. And royal blue looks gorgeous when paired with pearly white or dashing champagne. However, you don’t have to look for blue shoes. 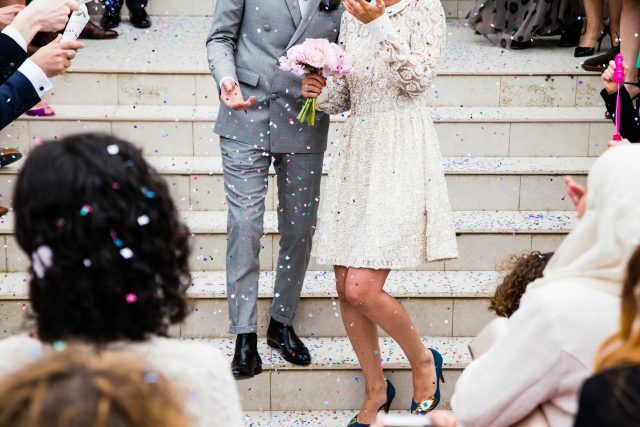 Essentially, you can make your whole bridal look come to life by choosing your favorite color for the shoes, and matching the shoes with your purse for example. 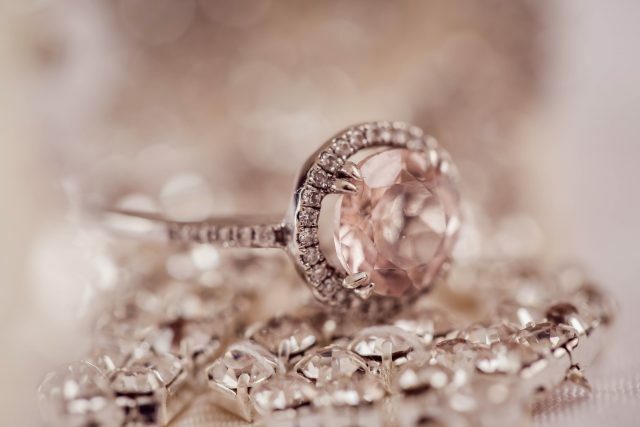 Apart from using shoes and jewelry to add color to your wedding dress, you can simply go for wedding dress accessories that would make the whole look more unique and special. For example, colored wedding dress petticoats make for a gorgeous wedding fashion trend and can truly transform your entire look. Moreover, there’s the possibility to use interesting belts or bridal sashes that will bring out the vibrancy and playfulness of your personality as well. In the end, you can complete your creative wedding outfit with a pair of matching gloves. If you like the traditional look but still feel like you need some extra oomph for the whole outfit, choosing colorful jewelry may be the perfect solution for you. Emerald green, sapphire blue, ruby red and other sparkly and magical gemstones can make your beauty and personality stand out even more. Of course, if you want something truly interesting, you’re more than free to mix and match different jewelry, especially if this is your style in general. For a colorful yet a very elegant effect, you may want to consider abalone jewelry as well. These days, you can find incredibly unique and beautiful wedding dresses that incorporate color in their design. That being said, one of the most popular modern bridal looks involves the gradient effect. The boldest part is usually at the hem/train of the dress and it fades away upwards. This is a truly gorgeous look, especially when the dress itself has plenty of intricate details. Moreover, aquarelle-inspired colorful dress details, as well as amazing embroidery in bold shades, add a soft, romantic and almost ethereal feel to the whole bridal look. 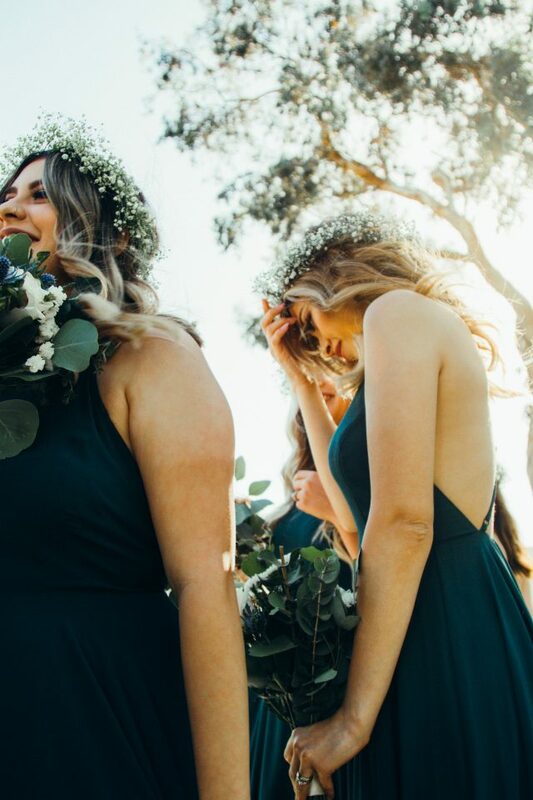 If the above-mentioned tips simply weren’t colorful enough for you, the good news is that there are more and more colorful wedding dresses available. This means that you can get a princess/fairy dress in any shade and make your bridal look more creative, personal and themed. However, if you really want to go with a specific theme for your wedding day, you may want to hire someone to make the dress for you. If you have crafty hands, you may even try some wedding dress DIYs for yourself. Whatever you choose, you can rest assured that a custom-made wedding dress can be as colorful and unique as you imagined it to be. If you want to have your dream wedding, don’t be afraid to go against the traditions, especially when it comes to fashion. After all, this is your big day, so make it as special and fun as possible. Previous Previous post: Fashion and Health Crossover!